Riis Park Beach Bazaar is proud to announce its new fall/winter restaurant partner, The Dropout – a new restaurant headed by Chef Julia Steinberg. Born and raised in Rockaway, Julia’s impressive background includes running kitchens for Rockaway Seafood, Whit’s End, Red Hook Lobster Pound and this summers’ very popular Bay 9 stand out, Rockaway Clam Bar. In addition to the above, Julia accelerated her personal culinary training at Chef’s Club (New York, NY) under Chef Didier Elena, where she studied a more traditional approach to fine dining. Julia hosts regular solo pop-ups at local favorite eating establishments which routinely sell out hours after their announcement. Over the years Julia has developed her own personal touch of service, style and farm-to-table consciousness, which became reflected in her menu design and private dining experiences. We very much look forward to hosting Julia’s premiere solo venture as a restaurateur and Executive Chef. The menu will change weekly, rotating seasonal offerings, such as fresh carpaccio or tartare, homemade potato gnocchi with homegrown basil and grilled chicken, oregano lemon chicken with shredded sprouts, homemade short rib ramen with kale and poached egg, Togarashi shriimp with dashi broth and parsnip puree, sautéed pork fat edamame, among many others. The Dropout will open Friday, September 29 and will feature recipes from Julia’s personal playbook as well as new items that she hopes become a staple among her community’s, and NYC’s, regular cravings. 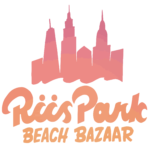 Each off season, Riis Park Beach Bazaar transforms our summer hub at the iconic Bay 9 Art Deco pavilion into Riis Point – a gorgeous seaside destination for curated food and drink with flat screens showing football, hockey, basketball and more…all within our heated dining room with breathtaking views of the Atlantic Ocean! Heading into our 3rd fall and winter season, RPBB has established itself as one of NYC’s premiere oceanfront dining and event spaces. Riis Point has been lauded as a foodie destination that helped make Rockaway a next “hot” neighborhood in NYC and a reason to visit the beach year-round. The Dropout at Riis Point continues our tradition of offering up a fun (and delicious!) beach get away – any time, any day, 12 months a year. In addition to The Dropout, we also feature one-off, fun, programming through the entire off season, including our third annual two day – two weekend Oktoberfest on September 30/October 1 and October 7/8 – the first and only oceanfront Oktoberfest in New York City. Other activities in the works include game nights, music from local and visiting artists, a local holiday market and many more reasons to come with friends or meet new ones here. Initial hours will be Wednesday through Monday, 5PM to 10PM, with longer weekend hours and bar specials offered throughout the football season. Weekend Brunch Service will begin from 11AM to 4PM. Accompanied by Riis Point’s Top-Shelf Spirits, Cold Beer, Spectacular Views and Specialty Cocktails, The Dropout at Riis Point offers Rockaway, and NYC-at-large, a reason to keep the beach in mind throughout the year! And don’t forget – parking is now FREE through Memorial Day 2018!